For any questions please send us an E-Mail or call our office. 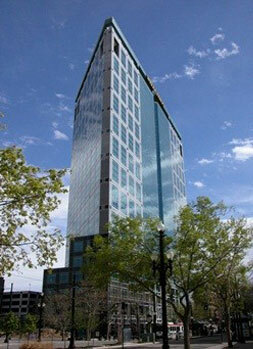 We are located on the 13th floor of the Wells Fargo Center in Downtown Salt Lake City, just 15 minutes from Salt Lake International Airport. Validated Parking is available just East of the Wells Fargo Center on 300 South. The UTA Trax Station Gallivan Plaza is right in front of our building. We are only licensed to practice law in Germany. We are neither licensed nor qualified to render advice on US Federal or State law. Welcome to our Homepage. Looking for a German Lawyer? You are in the right place. Please check out the services we offer. We can help you with almost any Legal or Government related issues in Germany. For matters that require specialized knowledge that we don't have we will get the assistance of specialized attorneys. We offer our legal services to clients all over the United States as well as in Canada and even worldwide. All of our lawyers are licensed in Germany. Weinhardt & Associates was founded by Martin R.Weinhardt after he moved to his wife's native country, the United States, from Germany. Having worked as an Attorney in Germany before he decided to provide legal advice and services in German Law for the U.S. market. 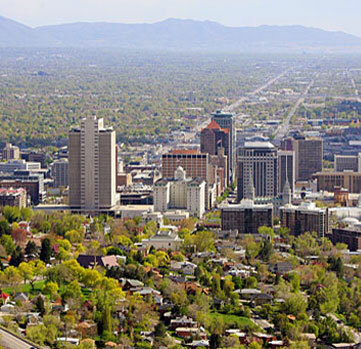 Located in Salt Lake City, Weinhardt & Associates is now providing advice and services related to German Law for the Intermountain West and all over the continental United States. Weinhardt & Associates or Martin Weinhardt is a member of the German Lawyers Association; German American Lawyers Association and the Better Business Bureau of Utah. Mr. Weinhardt is assisted in this work by his team of German Attorneys and tax specialists located in Germany and if necessary also by hand picked German speaking American Attorneys in associated Law Firms. Weinhardt & Associates offers services for individuals and businesses as well as for law firms that have to work on cases related to German Law. Weinhardt & Associates offers German Law advice and services to individuals in the United States. We provide these services for Americans as well as for Germans living in the United States. We cover the full range of legal areas. Please contact us for a free opinion and a price quote on your problem. We are offering a wide variety of German Legal Services for businesses. For our business consulting services please click here. We provide you with services for all your possible legal needs related to your business in or with Germany and Europe. Our team of German Attorneys in the U.S. as well as in Germany will take care of your legal needs. We have an extensive network of Off Counsel specialists in different areas that will provide you with exceptional services, whether in taxes or corporate law, customs or government permits or whatever your needs might be. We also have American Attorneys and CPAs available, or can work together with your present legal advisors to make sure that your European Business doesn't lead to any problems on this side of the Atlantic. We know how business is done in Germany. Through our experience and contacts we can get you in contact with the right people and institutions to make sure you get things done. Weinhardt & Associates offers a full range of services in german law for law firms. We can either work directly with your clients or we can discretely work internally with your attorneys. We can provide relief in situations when you need German Legal or Language expertise. We either work in our offices or in yours. We offer our services coast to coast. Please contact us for your specific needs and for pricing information. We also have Attorneys and Tax Attorneys as well as Tax Specialists available in Germany.